On the island of Rapa Nui the Cult of the Birdman reflected a very visible expression of political competition and cooperation at the island-wide level. This paper synthesizes recent archaeological and chronological information for the cult’s central site – ‘Orongo, in order to document the temporal shift in ideology from an emphasis on lineage autonomy to a more integrated leadership. While Rapa Nui was experiencing internal pressures from the loss of arable land and territory reconfiguration, brought on by soil nutrient depletion and limited rainfall, we hypothesize it was only the events associated with repeated European contact that were sufficiently disruptive to initiate rapid social change at the collective level. One social response was a realignment of ideological values represented by the formation of the Cult of the Birdman. The first cult activities, in front of the stone houses at ‘Orongo, occurred during the early AD1600s. Activities intensified near AD1800 possibly due to the negative impacts of European contact and it is hypothesized that stone house construction occurred at this time. Robinson, T. and Stevenson, C. (2017) “The Cult of the Birdman: Religious Change at ‘Orongo, Rapa Nui (Easter Island)”, Journal of Pacific Archaeology, 8(2), pp. 88-102. 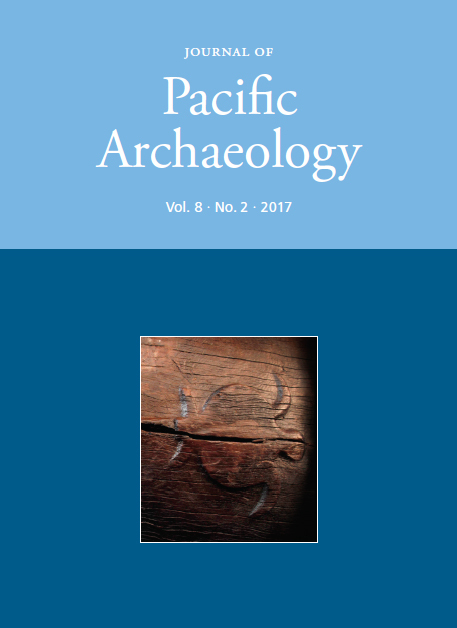 Available at: https://www.pacificarchaeology.org/index.php/journal/article/view/198 (Accessed: 22April2019).